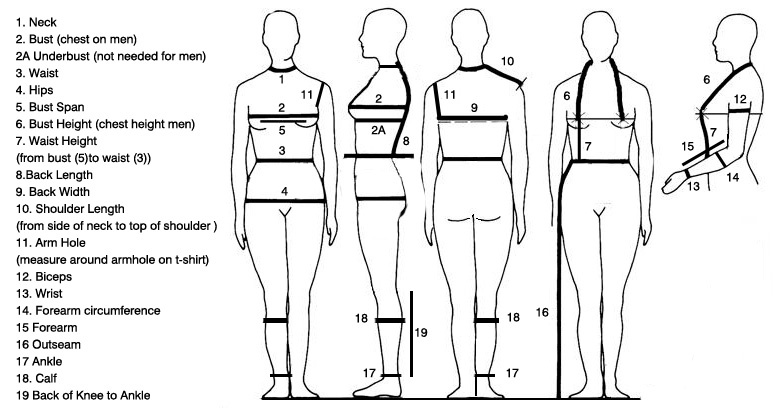 All Ladies armours will fit heights from 5ft 6ins (168cm) to 5ft 10ins (178 cm) again by simply adjusting the shoulder fitting, if however you are outside this range please let us know and we will do our very best to accommodate you. we offer a variety of standard sizes for our bodies and belts, generally these have at least 4 inches (10cm) of adjustment built in, you should always choose a size based on your measurement over the top of whatever you will be wearing under the armour. For ladies body armour please include bra size in your order notes, e.g 38 C (85 C European) so that we can provide the best possible fit.